for $1,499,000 with 4 bedrooms and 4 full baths, 1 half bath. 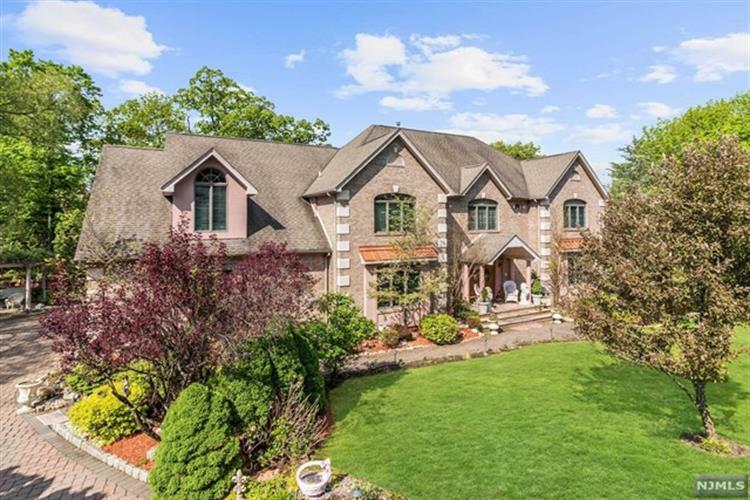 Exceptional custom colonial with mature landscaping, offers custom kitchen cabinets, center island, double ovens, large eat-in area with sliding doors to deck and beautiful backyard. With open flow, the family rm features wood-burning fireplace, cathedral ceiling and wet bar, huge formal dining rm, a rec room for relaxation and fun, library/office with 2nd fireplace and French doors leading to the wrap around deck. Large laundry rm with extra storage completes the first flr. Beautiful staircase guides us to the 2nd flr where a wide foyer beckons to go further. Stately master BR is enhanced with an open adjoining rm and spacious walk-in closets. Master bth is appointed with every necessity. Other BRs are oversized with abundant closet space. 3 car gargage, Walk-out finished basement, all impeccably maintained!